Once in a while, when I am so inclined and feeling up for it, I spend some time in online autism communities. One topic that tends to come up repeatedly is how to hide stimming. From autism.about.com: “The term “stimming” is short for self-stimulatory behavior, sometimes also called “stereotypic” behavior.” I find the frequency of this topic kind of sad, because I really wish that it was not a thing. Stimming is not bad or wrong, and I intensely dislike that it’s something people feel the need to curb or eliminate – either in themselves or in their autistic children. I would rather push to make stimming acceptable than hide a simple action that helps me cope. I understand that not everyone can fight every battle. If a person is focusing in other areas and just cannot handle prejudice because they happen to flap their hands, it’s really not my place to judge them. So with that said, I figured I could brainstorm a few things on how to hide stimming. Overall, I think the main ways I know of to hide stims come down to three basic groups. 3. have a fidget toy or craft. First of all – everyone stims. This is not something restricted to people on the spectrum. Stimming is natural and normal for EVERYONE. The difference is that autistic people are inclined to stim a lot more, and possibly in bigger ways. So my first possible tip if you want to hide stimming would be to find a stim that is socially acceptable. A very common one is crossing your legs and rhythmically wiggling your foot. I can remember my mom doing this one quite frequently, and as far as I know she is not on the spectrum. Other “normal” stims include clicking pens (though many people also find this annoying), drumming your fingers, tapping your foot, chewing gum, or even playing solitaire. Now, despite my lofty “it should be ok to stim” ideals, I do sometimes try to stim in unobtrusive ways because sometimes, I just don’t want to deal with the looks or comments I would be likely to get. A very common thing I do is flick my fingers or twitch my wrist. They are very small actions which are easy to keep within a small area of personal space. Certain crafts and hobbies can also help. I have a tendency to haul a crochet project with me almost everywhere I go. If I feel anxious or just generally want to be soothed, I haul it out and start crocheting. I am reasonably certain that the rhythmic motion of the hook and yarn is a stand-in for other sorts of stimming. It is not at all uncommon for me to be crocheting in a train station or a group social situation or other such environment. 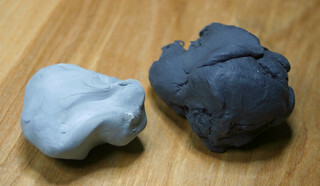 Nee, my significant other, uses rubber knead erasers and plays with them much like modeling clay. Squish, make a shape, squish, make a shape, squish, and so on and so forth. Bucky balls (a toy that is sadly no longer to be made because people apparently kept eating them) are another fidget toy for him. I still say we would all be better off just being allowed to stim as needed without social consequences. I mean, as long as your stim is not something actually destructive like punching people in the head or something, or terribly distracting to people around you in an environment where that would be harmful, it should not be wrong. Flapping your hands in the grocery store should be an ok thing to do. Still, it isn’t fun to get stared at or have people look at your like you are crazy, so I understand that we sometimes need to find something different to do. First of all – everyone stims. This is not something restricted to people on the spectrum. Stimming is natural and normal for EVERYONE. That is right! This was what confused me when I read about stimming as activities that could be broader defined, more subtle than how I had initially assumed. ‘But then everybody do it!’ (animals too). I didn’t realize it until recently, but I’ve been stimming my entire life. 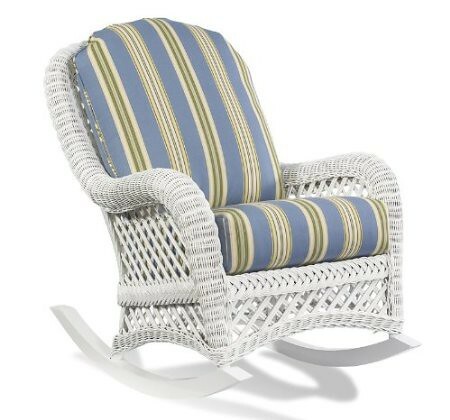 Whether it was pacing in our family’s backyard for hours on end, twitching my thumb and index fingers together, or just twitching my feet and legs. It wasn’t until recently I realized that there was even a word for it. My family never made much of a big deal about me being, for lack of better words, ‘a bit odd’ as a child. Most kids aren’t that lucky. I never realized how common stimming is.